We like this glamorous version of Poison Ivy wearing this beautiful vintage emerald green beaded gala gown. You can come in and create your own version of Poison Ivy or any other super villain you can think of. Joker Heath Ledger Super Villain Costume. 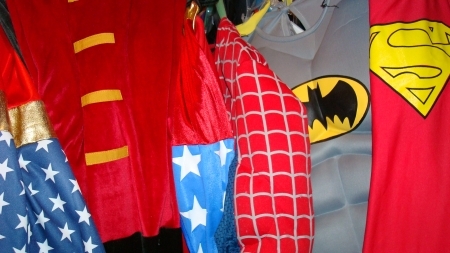 We have classic vintage Joker costumes, Jack Nickolson Joker costumes and more. You are in Batman category.